Alas, a third edition you say? Yes, it’s a reality, and no, we’re going nuts due to not sleeping with the Rolex 24 Hours coverage. The Late Models have indeed earned another round of silly season news for you. As mentioned before, the Late Model division had a major impact on the 2019 Silly Season Portal at Short Track Musings in it’s first two editions, revealing plans for a total of six different drivers, and keeping you up to date on APC Series registration announcements. Since then, plans for 2019 have continued to find their way into public domain. So here are some more competitors who have openly discussed their 2019 plans as of January 27, 2019. While it’s been nice to see driver announcements, we certainly have a bit of sadness in hearing this news. David Elliott revealed that he is retiring from racing after a career that took him from Vintage Modifieds to Late Models, with multiple victories along the way. We wish you the best in wherever the future takes you, David. Our happiness returned, though, when we heard of a pair of Super Stock stand-outs making their move to the late model division. Darrell Lake impressed many people at Delaware Speedway behind the wheel of his Super Stock, scoring multiple victories over the past couple seasons. He has purchased a car from J.R. Fitzpatrick and will be running the full APC Auto Parts United Late Models of Ontario Tour for 2019. 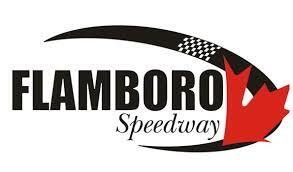 Flamboro Speedway stand-out Carson Nagy will be joining his brother Hudson in the late model division in 2019. After winning a couple super stock features in 2018, he made his Late Model debut at Frostoberfest and will now carry that into a full-time campaign. Danny Benedict already revealed that he would be chasing the Sunset Speedway Championship. He then followed that up by announcing on his Facebook page that he’s looking for double the glory, ready to tackle the APC Series schedule. There are three events that overlap on the calendar, with Benedict stating he has already nabbed a substitute driver for those APC races. Taylor Holdaway has already began his 2019 campaign, taking part in the CRA Speedfest at Crisp Motorsports Park in Georgia. After starting 14th, he was able to make his way forward throughout the event en route to a sixth-place finish. The past Sunset Speedway Champion is running a schedule focused on big events south of the border, but will be taking part in the Canadian Short Track Nationals at Jukasa Motor Speedway. 2018 APC Series Champion J.R. Fitzpatrick has made it clear via Cabral Racing Promotions that he intends to return in 2019 and defend his title. After racing south of the border the past couple seasons, Ray Morneau is returning back to Canada and will run the full Delaware Speedway schedule in 2019. He shared some images on Facebook of his build in progress. The APC Auto Parts United Late Models of Ontario Tour has been busy, openly posting across social media the drivers that have registered to compete in the series for 2019. As of the second edition, the following drivers had registered – Tom Gibbons, Jason Parker, Jake Sheridan, Nick Goetz, Josh Stade, Billy Schwartzenburg, and 2018 Delaware Speedway Champion Gary Adriaensen. The list of drivers on the roster for 2019 now include Blair Wickett, Patrick Freel, Dale Shaw, Jordan Sims, Ryan Kimball, Sean Grosman, and Paighton Jacobs. If you’re a driver and want to have your plans listed in the Silly Season guide, please get a hold of Short Track Musing’s Ashley McCubbin immediately to do so.